The monitors will be in Harris, Tarrant and Waller counties. The U.S. Department of Justice announced plans on Monday to send election monitors from its Civil Rights Division to three Texas counties — Harris, Tarrant and Waller — for Tuesday's election. The department said in a press release that monitors will keep an eye on "compliance with the federal voting rights laws." Overall, the department is sending monitors to 35 jurisdictions in 19 states. The department didn't make clear why staff members are being sent to Texas. Harris and Tarrant are the first and third-largest counties in Texas. Rural Waller County is home to historically black Prairie View A&M University, and was sued last month by five Prairie View students over allegations that it was suppressing the black vote. 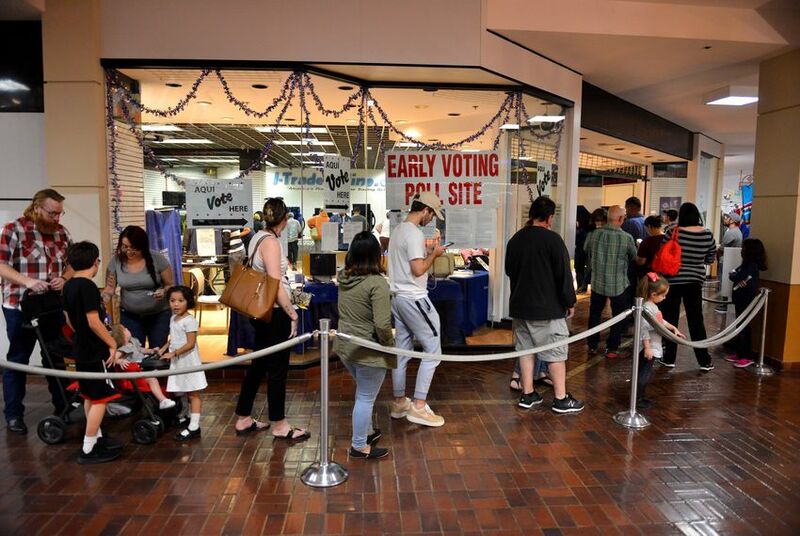 Two days after the suit, the county expanded early voting options at the university. The Justice Department regularly deploys personnel to districts across the country during elections. President Barack Obama's administration sent more than 500 personnel to 67 jurisdictions in 28 states during the 2016 presidential election, including to Harris, Dallas and Waller counties. "It's routine," said Hector de Leon, director of communications and voter outreach for the Harris County Clerk's office. "They do it for every major election. They always come here to review and check to make sure efforts are being made to comply with the law." According to the press release, the Civil Rights Division "has regularly monitored all kinds of elections in the field around the country throughout every year to protect the rights of all voters, and not just in federal general elections." Monitors will be available on Election Day to field telephone complaints about possible voting violations, the statement said. Disclosure: Prairie View A&M University has been a financial supporter of The Texas Tribune, a nonprofit, nonpartisan news organization that is funded in part by donations from members, foundations and corporate sponsors. Financial supporters play no role in the Tribune's journalism. Find a complete list of them here.